One of the most positive developments in the world of cinema over the past few years is the resurgence of the western genre. At one point last year cowboys seemed to be literally falling out of the sky: Slow West, Salvation, The Dark Valley, The Hateful Eight, Jane Got a Gun and so on and so on. What was also interesting was that a good number of these were actually made in Europe; and both Slow West and Salvation had British production input. 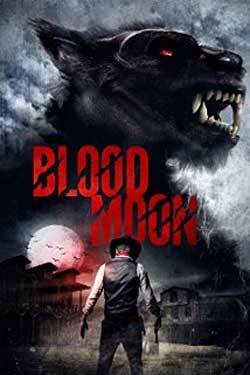 To this list of modern British westerns can also be added the 2014 release Blood Moon, which goes one further and has a try at a subgenre which has only rarely been attempted on these shores: the horror western. There was A Vampire’s Tale in 2009 (which featured a prologue set in the wild west) and the Wesley Snipes vehicle Gallowwalkers (2012, a US / UK production filmed in Namibia), but that’s about it. The story follows a disparate group of travelers heading to a remote outpost on a stagecoach. They include a young deputy sheriff (George Blagden, from Vikings) and his new bride (Amber Jean Rowan), a saloon owner / former showgirl (Anna Skellern) and a mysterious cowboy (Shaun Dooley). When they stop off at a ghost town to rest and eat they find the corpse of its only inhabitant literally ripped to pieces, but they haven’t had time to digest this before they’re taken prisoner by a pair of violent bank robbers (Corey Johnson, Raffaello Degruttola). They all hole up in the saloon but, when evening comes, they are attacked by an Indian shapeshifter (i.e. a werewolf) and even surviving the night looks like an increasingly difficult proposition. 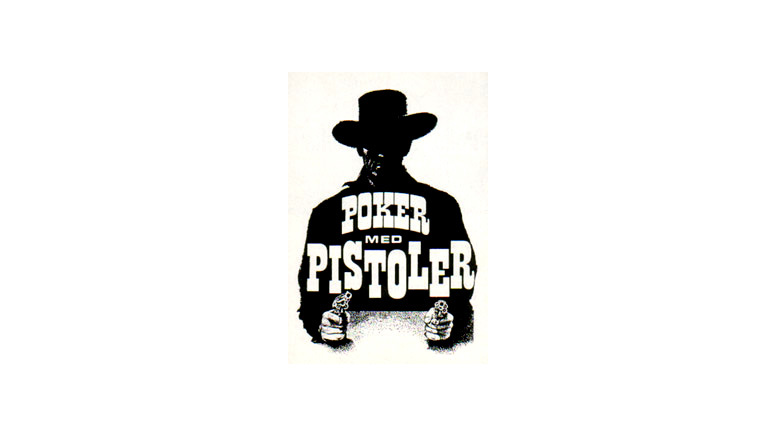 A modestly budgeted film which cost a little over £500k – actually, this counts as medium budget in the world of British horror films today – Blood Moon has its share of problems: you can’t quite get over the pantomime aspect of familiar Brit character actors twirling their pistols and spouting gruff cowboy dialogue; the monster itself is rather silly; and most of the running time is taken up with the characters squabbling among themselves rather than developing any kind of tension. There’s also a pointless sub-plot involving the local Sheriff and an Indian squaw scout, which leads to a marginally impressive transformation scene but otherwise has no relevance to the plot and only serves to undermine the claustrophobia of the largely single location setting. That said, I have to say that I very much enjoyed it all. This is partially because I’m a sucker for westerns, but the film should also be applauded for trying something rather different; in the run of slashers films and found footage features it’s good to have a monster movie and a monster movie with a genuinely different twist. It’s technically competent without trying anything too complex (director Jeremy Wooding and cinematographer Jono Smith previously worked together on several episodes of Peep Show) and despite occasionally wayward pacing it does hold the attention. Most importantly it takes some care over its characters and it features a cast who know how to act, with the likes of Dooley, Johnson, Skellern and Blagdale bringing their considerable experience and skill to the venture. It’s as much a romp as a horror film, but there’s nothing wrong with that.